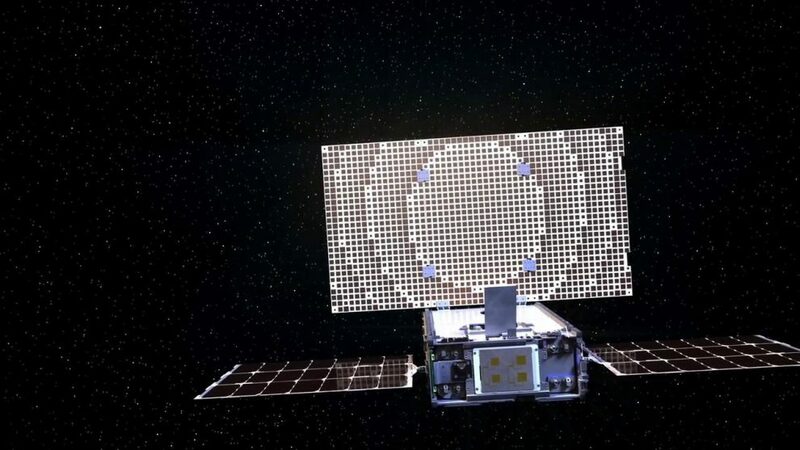 The twin Mars Cube One (MarCO) spacecraft, each of which is about the size of a briefcase, became the first-ever interplanetary cubesats on May 5, when they launched toward the Red Planet along with NASA’s InSight lander. Over the past week, both MarCO-A and MarCO-B have been firing their onboard thrusters to refine their course toward Mars, NASA officials said. No cubesat had ever performed such a trajectory-correction maneuver before. Earlier in May, one of the twin MarCo cubesats snapped its first space photo, which showed the Earth as seen from a distance of 620,000 miles (1 million kilometers). Both spacecraft have also aced some important communications tests since liftoff, said John Baker, program manager for planetary smallsats at NASA’s Jet Propulsion Laboratory (JPL) in Pasadena, California. JPL leads the $18.5 million MarCO mission, which is designed to lay the foundation for future exploration missions by small, inexpensive probes. The MarCo cubeats are nicknamed “Wall-E” and “Eva” after the adorable (but fictional) robots from Disney’s animated film “Wall-E.” Their name is inspired by the titular robot, which uses a fire extinguisher to fly through space in the film. The MarCo probes use the compressed gas R236FA, which is commonly used in fire extinguishers, for propulsion. MarCO-A’s trajectory-correction maneuver went smoothly, but MarCO-B’s was smaller than expected because of a leaky thruster valve, mission team members said. Both cubesats will need to perform additional engine burns to get to Mars, and MarCO-B’s future maneuvers will need to compensate for the unplanned nudges imparted by the leak. If all goes according to plan, the twin cubesats will fly by Mars on Nov. 26, the day that InSight touches down on the Red Planet. MarCO-A and -B will try to relay data from InSight’s entry, descent and landing (EDL) sequence back to Earth, but success in that regard isn’t critical — NASA’s Mars Reconnaissance Orbiter probe will do this job as well. The MarCO mission will end shortly thereafter. InSight, on the other hand, will spend nearly two Earth years monitoring “marsquakes” and characterizing the heat flow beneath its metallic feet, gathering data that should help scientists better understand how rocky planets such as Mars and Earth form and evolve.